At the time that the 1987 Edition of Australian Rainfall and Runoff was prepared, the use one-dimensional hydrodynamic models for assessment of flooding in riverine and urban systems was an emerging area with two dimensional models being computationally impractical for real world problems. Since that time the situation has changed considerably with technological advances enabling 2D models to become the tool of choice for most hydraulic flood assessments. For this reason it is necessary to provide guidance on the use of 2D models as part of the updating of ARR. This project aims to provide guidance to not just modellers, but to those who commission studies and use model results. This document has been prepared in a collaborative approach by a team of Australian industry experts in the field of two dimensional hydrodynamic modelling. All team members gave their time for free. While the document has been independently peer reviewed it is recognized by the project team that many aspects could be covered in more detail. It is also recognized in two dimensional hydrodynamic modelling that practice and technology can advance very quickly. For this reason the document will be reviewed after a 3 month period of industry comment. It is also recognized that this document will need periodic updating. The Revision team is committed to producing a quality project for industry. As part of the revision process has been developed where reports are reviewed by the Technical Committee as well as Australian and International reviewers. The following reports are undergoing the detailed review process prior to release to the industry for comment and are expected to be released soon. Those interested in reviewing projects should email [email protected] briefly describing which projects they are interested in reviewing and what qualifications/experience they have in those practice areas. Australian Rainfall and Runoff has joined LinkedIn. 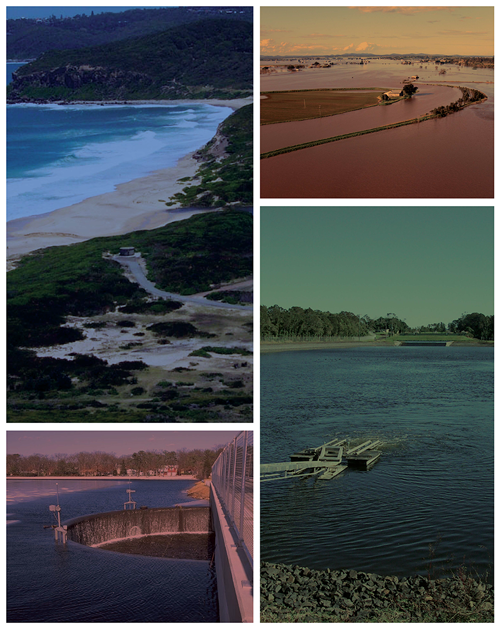 Join the group for discussions and updates on the revision of Australian Rainfall and Runoff.